Battle Ravens is a game of Viking Age warfare: a brutal clash of strength, cunning and luck, where subtlety and nuance are neither welcome or commonplace. Army packs offer new artwork and strategies for play. 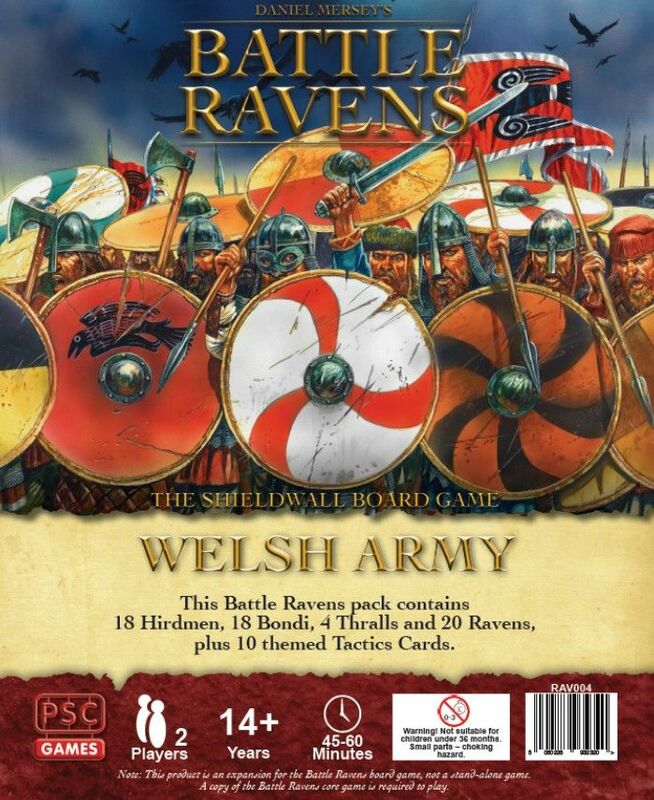 Each army pack includes 18 Hirdmen, 18 Bondi, 4 Thralls, 20 Ravens, an information sheet including optional rules for Battle Ravens, and 10 Tactics Cards themed to the army. Battle Ravens is a game of Viking Age warfare: a brutal clash of strength, cunning and luck, where subtlety and nuance are neither welcome or commonplace. 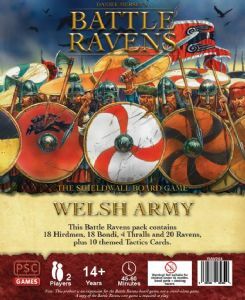 Each army pack includes 18 Hirdmen, 18 Bondi, 4 Thralls, 20 Ravens, an information sheet including optional rules for Battle Ravens, and 10 Tactics Cards themed to the army.